Yesterday, YIMBY reported on the latest progress at Brookfield’s Manhattan West, in Midtown West/Hudson Yards. 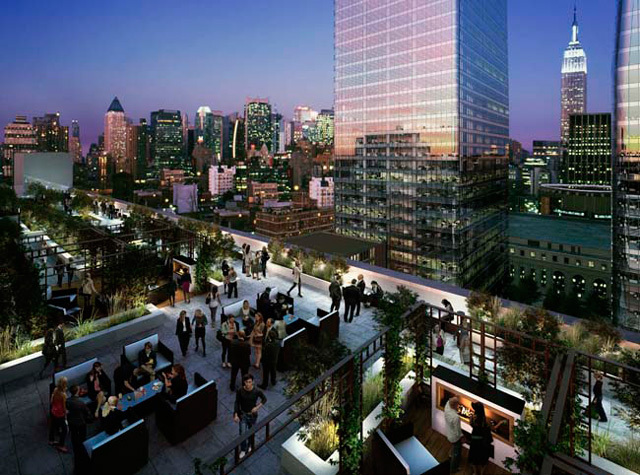 Today, the first filings have appeared for the site’s second office tower, which will sit on the northwest corner of 31st Street and Ninth Avenue, and has evidently seen a moderate height chop. Skidmore, Owings, & Merrill LLP will be designing the building, and it will have a total construction area measuring just shy of 1.75 million square feet. Within that, the entirety of the usable 1,693,220 square feet will be for commercial use. The tower will rise 59 floors and 849 feet to its rooftop, a considerable drop from the original estimates of over 1,000 feet, and approximately 70 floors. There may still be a rooftop element that adds a few dozen feet to the parapet, but this will no longer be an actual supertall, falling short of the 300-meter (984-foot) threshold. The filings are the first sign that Brookfield is moving forward with its second office tower. Leasing activity has been very strong for 1 Manhattan West, with Ernst & Young recently taking 600,000 square feet, and between the new building and what’s left at 401 Ninth Avenue, about two million square feet remains available. No completion date has been announced yet, but with 1 Manhattan West’s superstructure now past the 30th floor, and both 3 Manhattan West and 5 Manhattan West finished, 2 Manhattan West is the last major piece of the puzzle before the site begins to approach finality. There will also be a smaller hotel component dubbed 4 Manhattan West, though that will apparently be the last phase of the project. 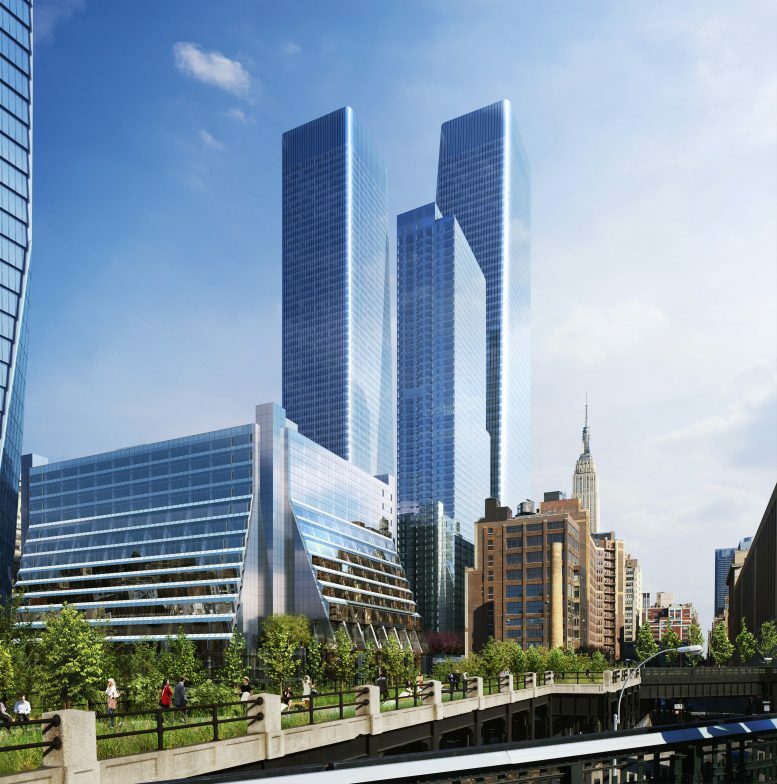 3 Comments on "First Filings Submitted for Manhattan West’s Second Office Tower Show Height Decrease, Hudson Yards"
Decrease but appropriate height and proportions. This not bad either, Tower 1 will be 995′, while Tower 2 decreased to 849′ and Tower 3, residential one who was just finished have 702′. This mean gradual reduction of height impact of this skyscraper project for surrounding heights, usually capped at 20-30 floors until ESB. Like mountain slopes. Oh no, a height decrease..the sky is falling!